Red also means "Beautiful" in Russian. The word "ruby" comes from the Latin word rubens, meaning "red". 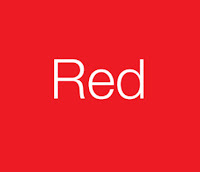 The color red doesn't really make bulls angry; They are color-blind. The color red is most often associated with power and passion. It is a fierce and emotionally intense color. Red symbolizes speed, sexuality, and style. Fast cars are red. Beautiful women wear red clothes and red lipstick. Red is also the color of romance and love. If you want to express your love for a woman with flowers, the flowers must be red. In all cases, whether red is worn by a woman, or used in home décor, it will always attract attention. Red often gives conflicting messages. Red means "stop" when used on a street light, but it means "go" when worn as lipstick or given as flowers. Red means danger when used on signs and fire extinguishers. Red means both romantic love and sexual lust. Red is the color of Communism, but it also symbolizes Christmas when mixed with the colors green, white, and gold. There are many variations of red: scarlet and vermilion are the shocking and extreme reds, while pink, maroon, and crimson are subtler reds. Fashion experts always recommend at least a splash of red when dressing for a job interview or any other important meeting, because red symbolizes power, decisiveness and leadership. In home décor, red is rarely used as a base color but often as highlights. One wall of a room may be painted red to create a feature wall that attracts attention. A sofa may be splashed with red cushions. A centerpiece of red flowers may be used for a special dinner event. Red is so intense a color that it doesn't suit everyone. A rule of thumb: drive a red car, but wear black. Red clothing has the effect of making a person look fuller than they really are. In all instances, red is an extreme color and should be chosen with caution. Helped with my english project! This helped with my English project! This helped with my art! This helped with my English project. This helped with art!Thanks for the info!!! Thanks this helped with art! Thanks helped with English project! cool I never new any of this stuff. it i sreally very helpful. Hello boeties. Hierdie infromassie het my baie gehelp met my AFRIKAANSE PROJEK. Dankie sjotjies!!!! It helped with my homework!